In the 1970s, archaeological surveyors working on the Manti-La Sal National Forest in southeastern Utah documented hundreds of Ancestral Puebloan sites on the flanks of Elk Ridge and the Abajo Mountains, and collected thousands of surface artifacts. These collections are invaluable sources of information for determining the ages and functions of sites. In fact, they are often the only source of dating and cultural use information for some sites as later, illegal artifact collecting has erased the ability to accurately interpret them. 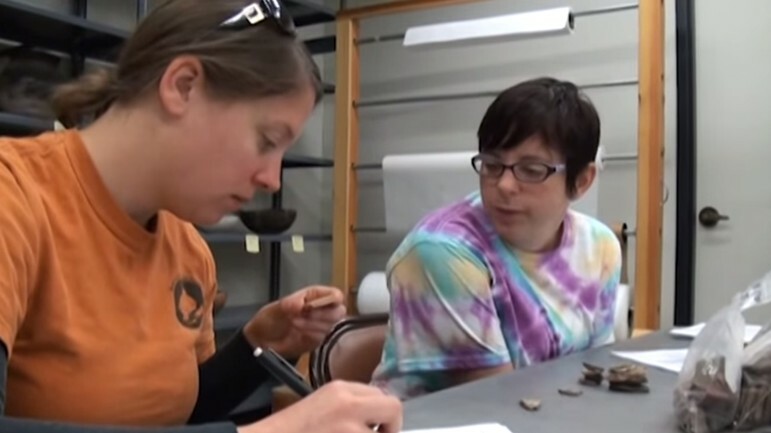 The artifacts recovered during the 1970s’ studies are curated at Edge of the Cedars State Park and Museum in Blanding. Edge of Cedars Museum is a premier facility that boasts many fine Southwestern archaeological exhibits, including unique artifacts, rock art, and even a stabilized ruin. Come join Edge of the Cedars Museum staff and archaeologists from the Manti-La Sal National Forest once again as we continue to catalog these collections! Volunteers will learn or brush up on how to identify Ancestral Puebloan ceramics, and will hone or be introduced to skills in stone artifact identification. Participants will also see the “behind-the-scenes” aspects of a working museum and learn how both artifacts and the data we can derive from them are preserved. Most importantly of all, volunteers will learn how the information captured in the artifacts brings to light a complex story of life and migration during Ancestral Puebloan times. We hope to see you – or see you again – this spring!